We have been visiting and renovating space next to DINAF one project at a time and supporting their efforts to create a safe, clean, and properly equipped school for the children. Dirección Nacional de la Niñez y la Familia (DINAF) a community organization charged with the enforcement of the protection of children, adolescents, and families has a regional office and primary school here in La Ceiba. Our teams have been partnering with DINAf since January 2015, when The Mendoza Family moved to Honduras. We have seen many changes both in leadership and in the care the kids receive here. We have also seen the city make changes to the name and admin of this kindergarten. The Kids here are amazing to spend time with. Each time we have a team in La Ceiba we will try to visit this school and bring some joy with us. This time we brightened up their cafeteria by painting and had fun playing, swinging, and blowing bubbles. The Staff we met are all very motivated to make this the best location possible for the children and families they serve. On each visit, there have improvements. The Smiles on the kids are proof that their teachers and admin staff here are taking pride in the work they are accomplishing. We also brought a microwave and several other components they have asked for to help the staff operate this school better. Their funding is low and inconsistent but they have done the very best with what they have. This makes us very happy to support their efforts here. 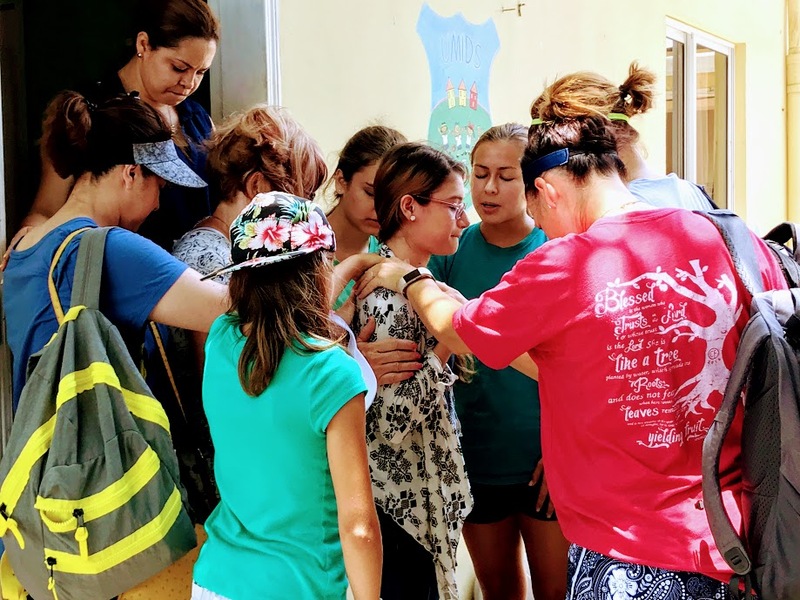 Connect Global team members praying over the staff led by Briana Arbelaez of Go To Nations.